All Canyonville homes currently listed for sale in Canyonville as of 04/25/2019 are shown below. You can change the search criteria at any time by pressing the 'Change Search' button below. If you have any questions or you would like more information about any Canyonville homes for sale or other Canyonville real estate, please contact us and one of our knowledgeable Canyonville REALTORS® would be pleased to assist you. 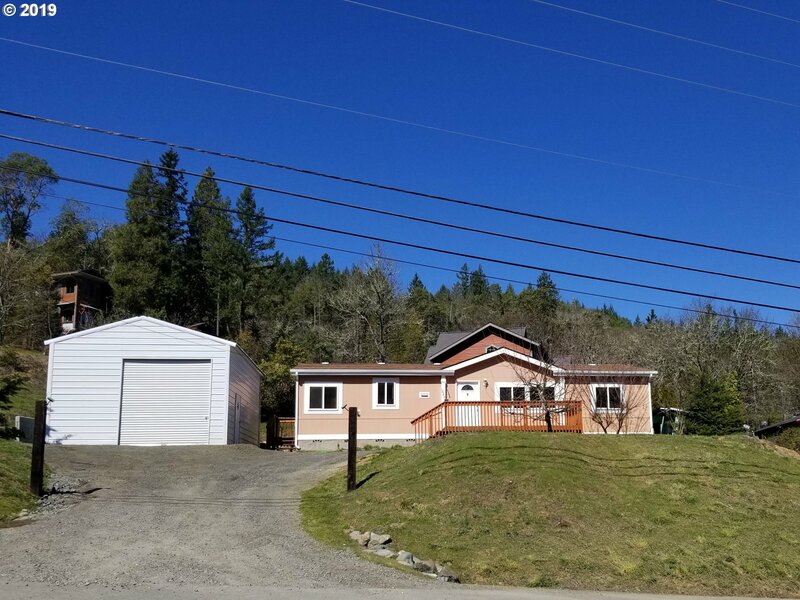 "ONE OF A KIND DIVERSIFIED RANCH LOCATED ALONG THE SOUTH UMPQUA RIVER ABOVE CANYONVILLE, OREGON. THE RANCH CONSISTS OF 140 ACRES OF FLAT, IRRIGATED FARM LAND WITH OLD ESTABLISHED WATER RIGHTS. THE BALANCE OF THE RANCH IS HILLSIDE PASTURE LAND. THE BOTTOM GROUND ON THIS RANCH CONSISTS OF CLASS 1 SOILS, CURRENTLY IN ALFALFA/ORCHARD GRASS PRODUCTION, BUT CAPABLE OF GROWING A VARIETY OF IRRIGATED CROPS." "A must see! Sunny Meadow Mobile Home Park with 7 mobile home spaces. 5 are rented with long term tenants all on beautiful property with a large 4 bedroom/2 bath home, jalousie windows, enclosed deck and fruit trees. The basement is 1280 SF with shop & rec room. 3 acres are across Tiller Trail on the river. Large 25'x48' shop fully insulated." "This Victorian era farmhouse is a showplace of highest quality craftsmanship. Every detail in this 1897 home is either original or has been handcrafted for period.12 base molding, wainscoting, hardwood/fir floors, beautiful country kitchen with both modern and antique features including wood burning cookstove. All plumbing and electrical has been updated. 2.59 flat acres w/ barn, beautiful garden area, 3 water sources. gorgeous views." "3 Homes on 4+ Riverfront Acres!!! Irrigation Rights & System!!! Deep Lush Soil! Fruit & Nut Trees + Hayfields!!! Picturesque 8 mile drive from I-5 & 7 Feathers Casino! Perfect for Muilti-family, or rental income. Fabulous farmland! Beautiful SW Oregon Valley w/Territorial Vista of Mtns & Forest!!! Gorgeous 90 minute drive to Crater Lake!!! Escape the City NOW for Quiet Country Living!!! Call for Private Showing! Grower's paradise." 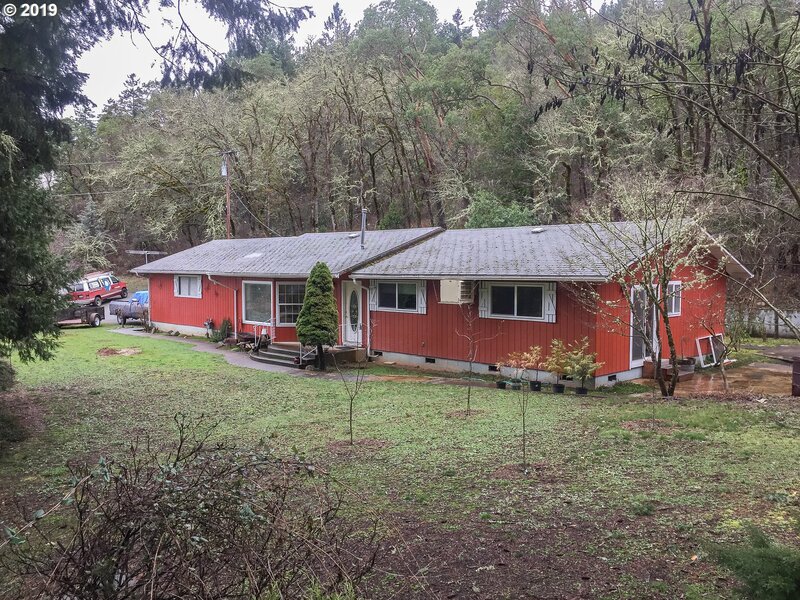 "Nice sturdy built home in great condition on 12+ acres nestled in the trees. Sets back off of a low traveled road. Mostly flat and open usable ground, great for horses. Excellent hard to find parcel. 34+ acres available next to this property and it has 10 acres of level useable ground." "GREAT HOME FOR ENTERTAINING. LOTS OF DECKING & PATIO AREA. LOW MAINTENANCE YARD. NICE VIEWS. OPEN AND SPACIOUS." "Private setting. This 4 BR/2.5 BA home is spacious and has many upgrades. All new doors, vinyl windows, tile & carpeted floors, fresh interior paint, and upgraded plumbing & wiring. This home is move-in ready. Seller is leaving all kitchen appliances. 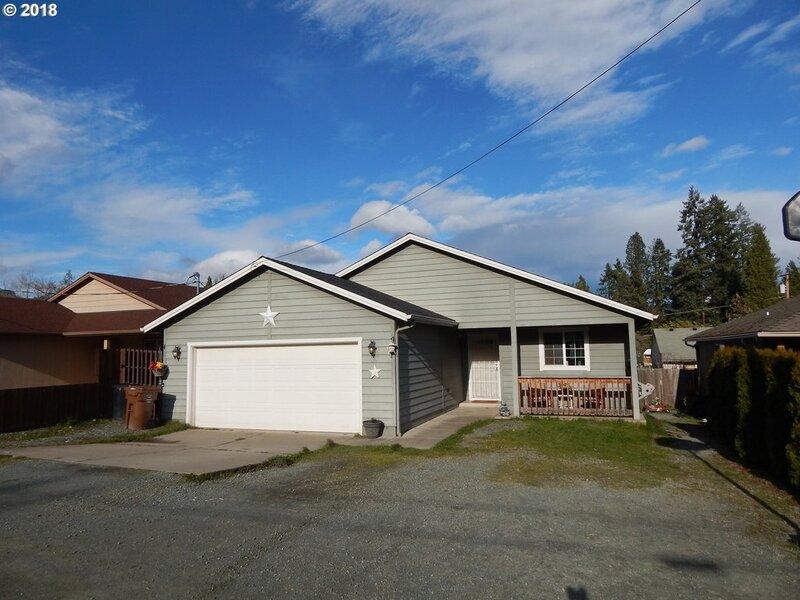 RV parking"
"This three bedroom, two bath home is ideally situated on a quiet street. The home features a spacious, modern kitchen, an open living room, and a lovely master suite. Sliding glass doors in the living room open to the spacious backyard. Washer/dryer hookups are located in a separate utility room. A two car, attached garage provided off street parking." "Great starter home. Recently had all new carpet placed through out home. Fresh coat of the paint on the interior and exterior.Large 20X25 per seller shop. Plenty of room for the whole family." 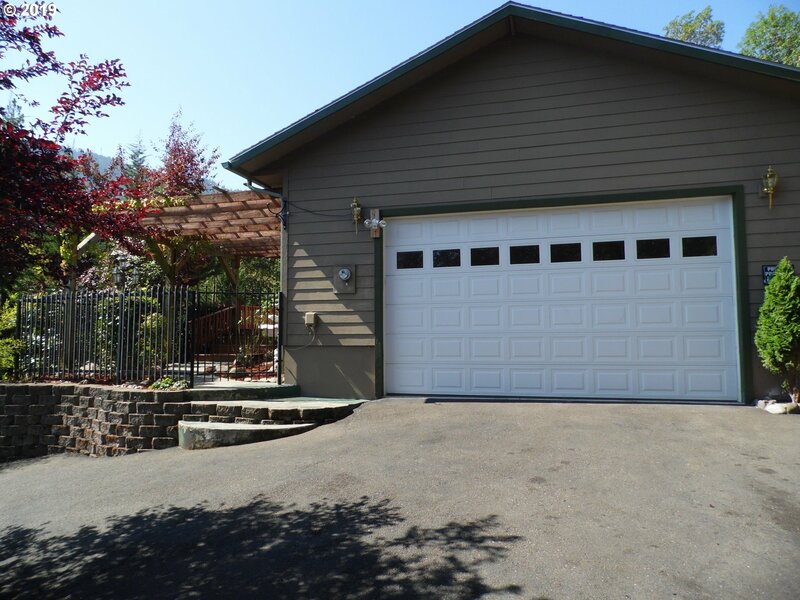 "Beautiful 2007 Golden West MH in a premiere 55+ park in Canyonville, OR. 1782 sq ft, 3 BR, 2 BA, den/office, LR, DR, kitchen with beautiful cabinets & island, covered deck, oversized 2 car garage, very nicely landscaped and view! This is a one of a kind home with updated floors: Brazilian Hardwood, Bamboo & Tile. Come See!" "Fantastic 2 story bungalow on Main st. This great home was completely redone in 2011-12. The home features 3 beds + bonus and 1 bath a wonderful front porch to relax, large low maintenance yard, fenced back yard, private driveway and mature trees all within a 5 minute walk to 7 Feathers Casino and Resort. Renovations include, new drywall, insulation, duct work, central heat and air, roof, bathroom, electrical panel, and paint." "Quiet Quaint home. Walking distance from local stores and the cities amenities. Near Casino! This would be a great home for a small family. It is fenced." 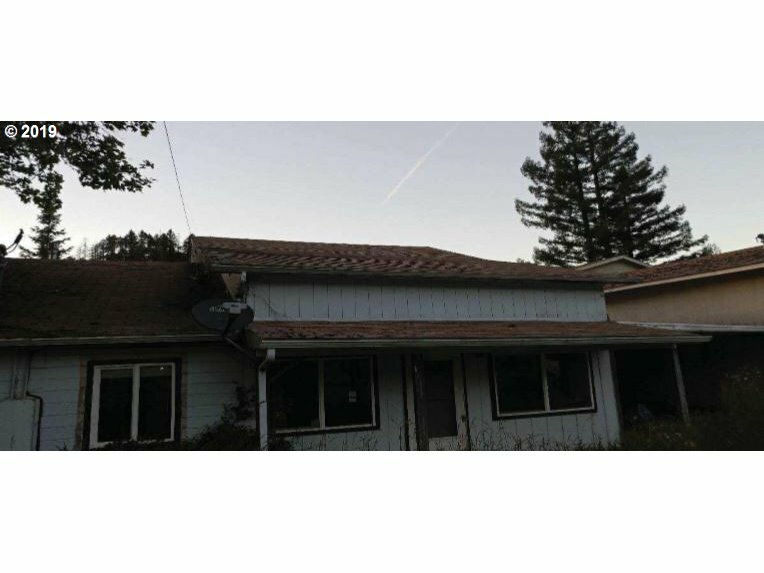 "2 Story Style home in Canyonville OR, this fixer features 3 bedrooms and 3 bathrooms, attached 2 car garage, office, large eat in area off kitchen. Bring your handy person, and your design skill set, this one could be great again. Come take a look to see if this one could be a fit for you. Property is lender-owned, being sold as-is, the seller is making no representations or warranties." "Good size corner lot in convenient location. City services and power to the lot. Home on property is of little to no value."